Blogging Schedule (Finally, it's about time I did this and not be so sporadic about posting, I owe that much to you). I don't know if you may have realised the subtle changes, but I've been tweaking the layout, adding new pages, removing older ones, as well as addign a blog button. By the time this post is up, the new blog logo and background should be up. (I will definitely miss this chevron one though). I still have a ways to go with the layout as I want to add social media buttons in the sidebar so that I can completely remove them from the top navigation. I've been thinking of participating in Blog Hops as I've seen on other blogs. It's a great way to find new blogs and gain exposure! 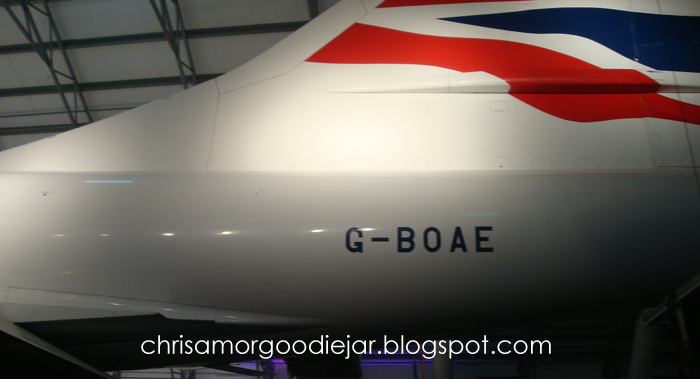 Still looking into hops to join, but if you know a good few please do suggest, and add my blog button in the sidebar, to your blog if you'd like to as well! I'll be leaving a space open for blog buttons from other writers. I might have finally settled on a blogging scheduled. This is still tentative as I am still a student and soemtimes school must come first, but I will try to schedule posts ahead of time if there be a need to. I will be trying to post at least 3 times a week*. Mondays, Wednesdays and Saturdays, with the occasional Guest Post on Thursdays. Hopefully the changes are good and well appreciated. If you have anymore suggestions for improvements, just leave a comment. *Schedule is subject to change at my discretion. Hey all! 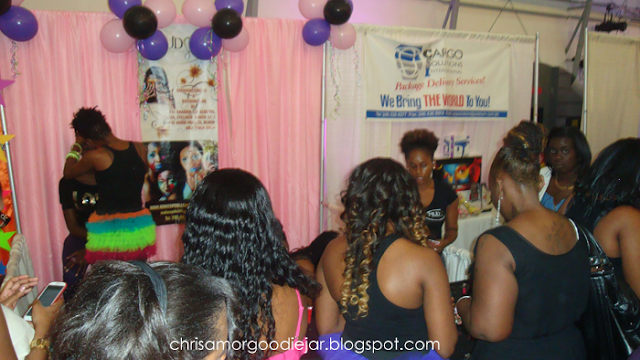 This year the Girlfriend's Expo (February 2nd -3rd) was held at the Barbados Concorde Experience. It's a beautiful setting for the the showcase, however, it is a bit too tiny for so many people. As a volunteer, it felt like if my head was spinning on Sunday around 3:00 p.m when the flood gates of people started to flow in from all over Barbados. MUDC booth was always packed! 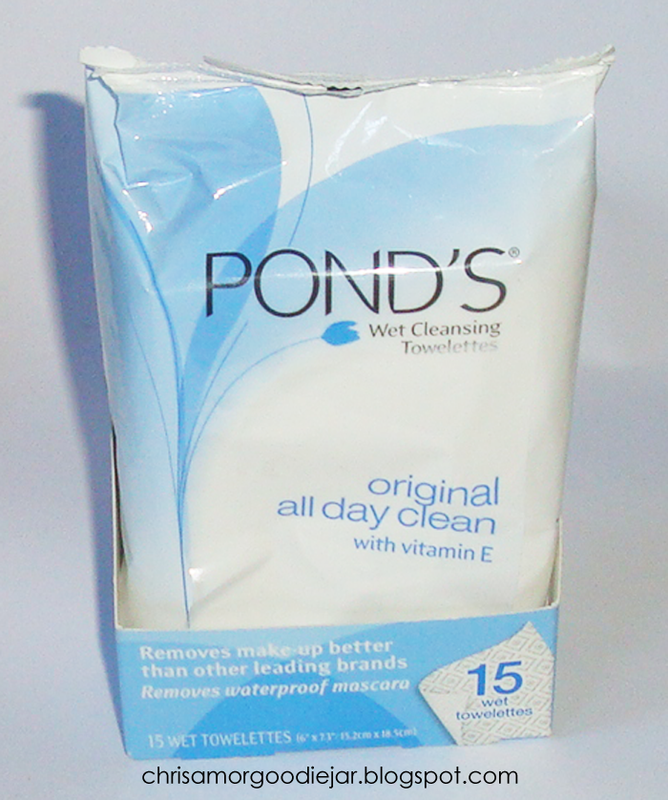 I'm always in search of a good make up remover wipe for those nights when I don't feel like going through all the steps. Typically, I wear mascara and fix my brows everyday, but when I go out, I wear a lot more make up and after a long night, I just want to come home and sleep, so I was looking for something that would clean off everything and not cost too much, since I am a student. 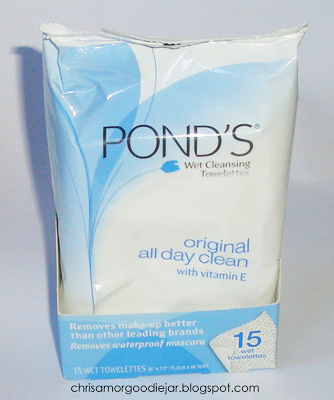 IThis product has been raved about all over YouTube and the blog-o-sphere, and now I finally have tried it. But is it worth the hype? 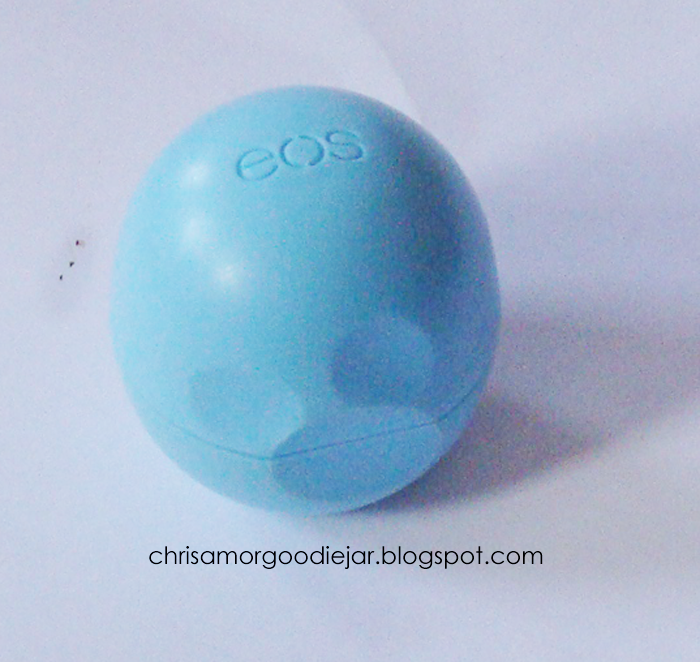 EOS stands for Evolution of Smooth and is the company has some very innovative packaging. When I take this out of my bag (as I can't keep it in my pocket), people usually stare and wonder what it is. A classmate of mine actually stared at me like I was nuts, it was hilarious. Anyway, I definitely give them huge thumbs up for the cute packaging and the way you can apply the balm, that is with your mouth closed instead of that weird open mouth thing us ladies do. Hi everyone, I apologise that I haven't been able to give you an update on last week's goals or post new ones since the beginning of this week, as it has been quite hectic. So hectic in fact that it's already Friday and strangely enough, I'm not excited. Btw, I'm going to be changing the title of these posts to Aspiration Diaries, I'll be giving a summary of how the previous week's goals went, things I need to work on and finally the next week's goals. Tracking back to last week's goals, I feel very accomplished as I have been successful in completely a number of things *happy dance*. As you might have noticed, there were new posts this week and I have a ton more new ones scheduled to be posted. I have edited almost all ofmy pictures (watermark, resizing, exposure) and I just have one more set to be done, those will be on my post about Girlfriends Expo 2013. That may be posted by Saturday. I also got up my DIY lip scrub tutorial which you can see here, in time for Valentine's day along with its blog post. I was also able to spend some time on Organic Chemistry, although this week's assignment was a bit last minute, but no fault of mine at least. I will definitely be ready for next week's assignment, however I'm not all sure that I will be ready for the test this Monday. Sigh definitely need to run through a couple of things but I'm about half way in the revision at least. As for the research project, I've been reading articles and more are being added with methods I may use along with background information. I think I may have 3 or 4 more articles to read. Then i can hopefully start my introduction. I was also able to save a bit, granted being at schoo for longer hours than you intend seems to be the chief culprit for expenditure (buying snacks to study with etc). I will conttinue to work kn it, perhaps buying snacks at the supermarket, rather than campus and storing them in my locker. I have been so busy that I hadn't the chance to post pictures to my Instagram, but I will get on those pictures I have skipped ASAP! You csn follow me here. 1. Record, edit and post my announcement video for my channel. 2. Keep blog posts consistent (maybe twice a week at least). 3. Try to study more for Bio-organic and Medicinal Chemistry. 5. 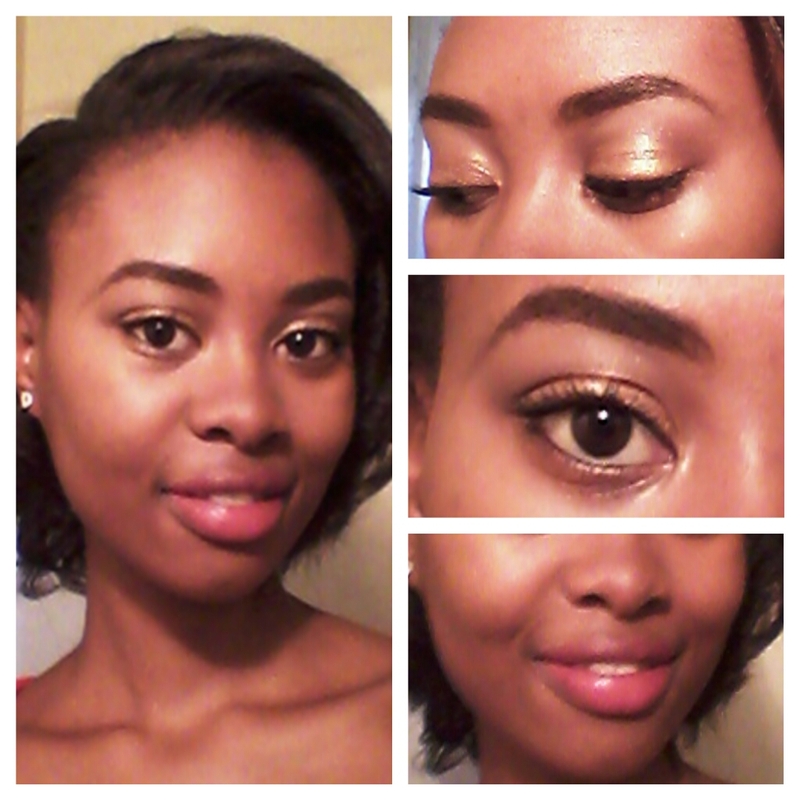 Try out more make up looks and post pictures to blog. 6. Remember to post on Instagram for my February challenge. 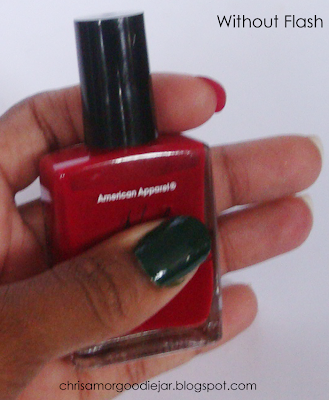 American Apparel Nail Lacquer "Lipstick" & "Hunter"
Hey all! 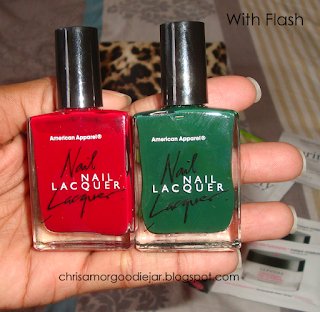 Today I'll be showing you some quick swatches of two nail polishes that I recently recieved. 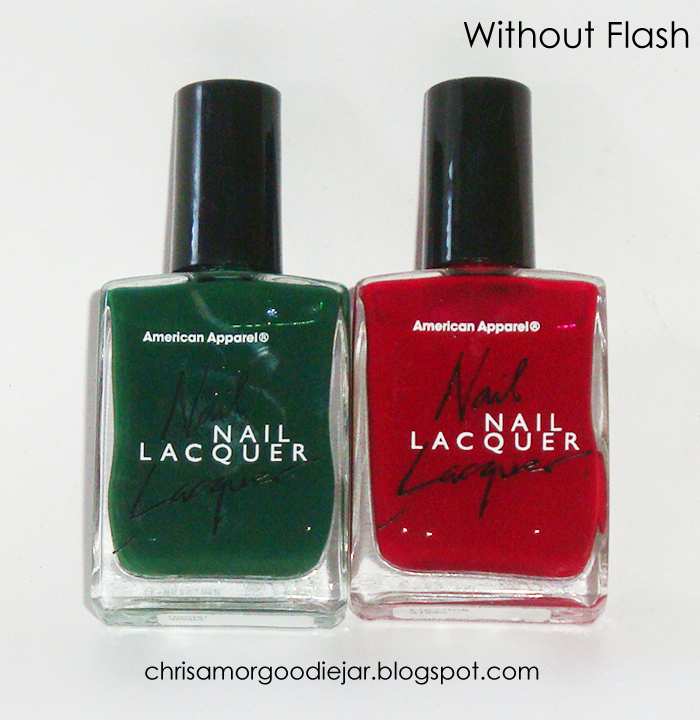 These are the American Apparel Nail lacquers in the colours "Lipstick" and "hunter". Usually when you hear the name of a company known for selling clothes and then cosmetics, people think that it's junky but surprisingly, these nail polishes are very good quality. 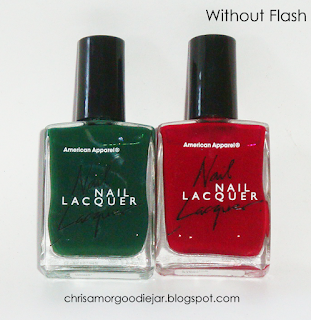 Being kind of lazy, I just swatched them on one nail each, but the colour that you see in the bottle in definitely what you get on your nails. Lipstick only required one good coat, but I did 2 thin ones because I'm prone to smudging my nails, while Hunter would need 2 - 3 coats. Mind you, these polishes stain your nails, I hadn't the chance to remove them right away and did I regret it, at least it was just 2 days. 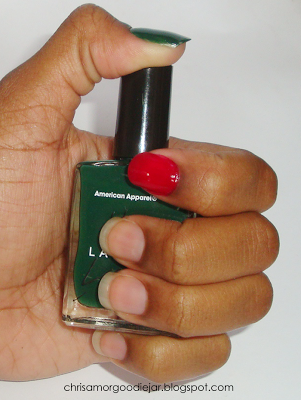 Be sure to use base coat so that you avoid that. Lipstick is a true red, not too pink, not too orange and would make the perfect lip colour HAHA. Hunter reminds me of pine tree leaves, that awesome dark green. Oh I love the smell of Christmas trees. If only this nail polish smelt like pine...I had some trouble taking good shots of Hunter, and I probably will re-take them. 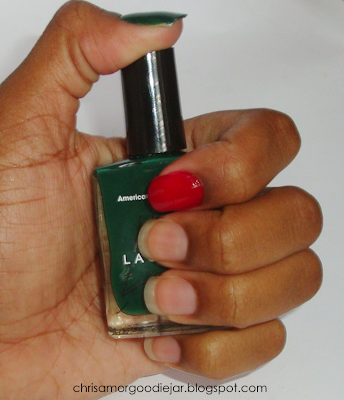 I don't remember the nail polish having a very strong smell, so that's always a plus with nail polish. I would love to try more of these polishes. The colours on the American Apparel website are so pretty. You probably have seen in one on the hauls on my YouTube last year, that I got a Revlon lip butter in "Candy Apple", which is a gorgeus warm-toned red. 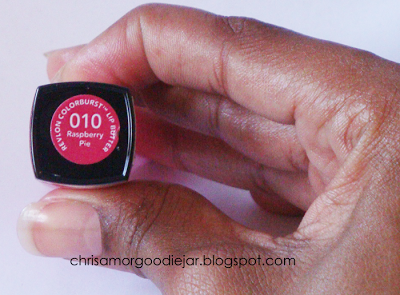 Recently I've acqured another from a giveaway I won, in Raspberry Pie, which looks as yummy and pretty as it sounds. The packaging on these lip products are very sleek and they do not look at all cheap. 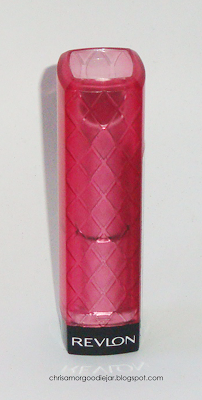 I also love the viewing window for the colour and how the lid is a similar colour to the lip product. Sadly, being the clutz that I am, I had the hardest time opening it at first and got lip butter all over the cover haha. 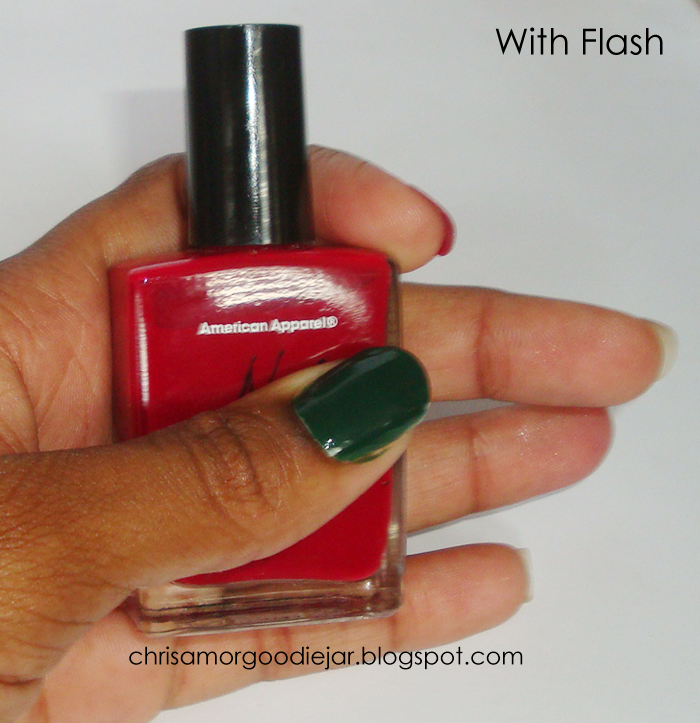 The formula is very good, a nice smooth even colour when you're applying it to your lips. No patchiness, and very moisturising for a lip colour. As the name suggests, it's like butter, but beware in tropical, warm places this can melt in storage. I have found my older one melted a bit in my cosmetics bag. Hey all! I was lucky enough to win the Pretty (Squared) giveaway for Christmas! I was so happy and grateful to have won, they are two sisters who share a blog. AND they are extremely nice! Go check out their blog, they give some really informative reviews and tons of great posts! I've never won anything that I've entered online, so I was super stokedwhen I got the email. 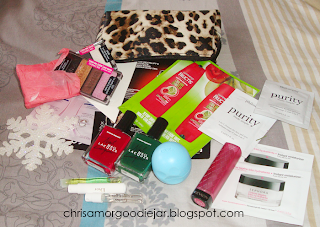 A lot of the products in this giveaway, had been raved about my other bloggers and beauty gurus, and I had always wanted the chance to try them out. To see what all the hype was about, you know? American Apparel Nail lacquers in "Lipstick" and "Hunter"
Wet N Wild Trio in "I'm Getting Sunburned" and "Don't Steal My Thunder"
Revlon Lipbutter in "Raspberry Pie"
With Valentines day on the horizon, us ladies want to have the softest most kissable lips for our significant other. During the colder windier months, the environment takes a toll on your lips. Applying lip balm frequently may remedy the problem for a short time, but sometimes lips need a bit of exfoliation to allow them to absorb moisture more effectively. Today I'm going to show you a simple do-it-yourself lips scrub that isn't expensive and all of the ingredients are probably in your cupboards. 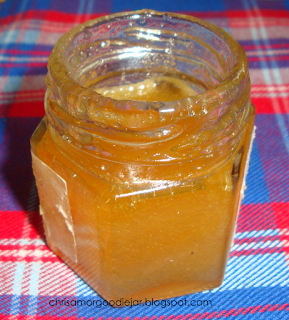 The texture of my scrub is more of a liquid, especially since the sugar settled to the bottom, which I didn't like, so I added in more brown sugar a day after. The best part about this scrub is that it's edible!